A more concise biography can be found at the Press Info page of this web site by clicking here. With their early releases The Wedding Present had acquired a reputation for bittersweet, breathtakingly honest love songs immersed in whirlwind guitars, so it was extraordinary that Ukrainski Vistupi V Johna Peela, with the band exploring traditional Eastern European folk music, should be their major label debut for RCA Records. “(They) carry off what is basically a bold experiment with verve” [NME]. However, this was soon followed by the more traditionally incendiary BIZARRO, “simply unbeatable” [Melody Maker] which featured their first hit single Kennedy. The next step, made with characteristically twisted Wedding Present logic, was to enlist the aid of the noise-mongering [and, at that point, relatively unknown] sound engineer Steve Albini. The resulting Seamonsters, recorded in the snowy wilds of Minnesota in just 11 days, suggested a more thoughtful Wedding Present. The Guardian newspaper noted that: “Albini has given The Wedding Present considerable weight, with Gedge’s voice trickling between banks of scowling guitars”. Indeed, the singing ranged from sensual whispering to feverish screams. The band came up with their next intriguing idea in 1992. By the end of December, The Wedding Present had released twelve singles, one per month, equalled Elvis Presley’s 35-year-old record for “most hits in one year”, rekindled everyone’s interest in that ultimate pop format, the 7″, and led the NME to describe the band as “casually revolutionary and underhandedly unique”. A gang of impressive names, including Ian Broudie from The Lightning Seeds and legendary Rolling Stones producer Jimmy Miller collaborated on the industry-challenging project, ultimately to be compiled on the two Hit Parade albums and awarded “record of the week” by Tony Parsons in The Daily Telegraph. Watusi, produced by Steve Fisk (a prime mover in the celebrated avant-garde scene of Seattle) whisked the band off into yet another new area with its lo-fi pop, three-part a capella harmonies and Waikiki-ready surf strains. This “strong, multifaceted album” [Select], sprinkled with 60s and 70s pastiches, was described by critics as their most varied and dynamic to date. “Watusi is (their) ‘White Album’, a re-assessment of their sound that finds them doing what they do best” [Melody Maker]. The band returned to England to record their next release, the car themed Mini, “a gem of a record” [Melody Maker] in which Gedge cloaked his tales of love, lust and infidelity with automobile symbolism. To commemorate this release, the band played [with two drummers!] at the BBC’s ‘Sound City’ event, which was held that year in Leeds. During the concert, the winner of a prize draw was announced and a lucky Wedding Present fan became the owner of a real life classic Austin Mini motor car provided by the band and delivered by David Gedge himself! The follow-up, self-produced album, Saturnalia, was again released to a flurry of critical approval. The NME exclaimed that “David Gedge has just written one of the best pop albums of the year” while The Melody Maker noted that in the new recordings, which were completed in the London studios belonging to The Cocteau Twins, you could “hear an experimentalism that would send half of New York back to the lab”. It was at this point in 1997 that Gedge started work on a new project called Cinerama in which he indulged his love of film music from John Barry to Ennio Morricone via Serge Gainsbourg, Blaxploitation, easy listening and surf music! Cinerama started life as a duo [Gedge and his girlfriend Sally Murrell] together with a shifting line-up of collaborators. 1998′s Va Va Voom “turbo-driven melodies and bittersweet vignettes taking in everything from John Barry to the Zombies” [The Times] featured The Church’s Marty Wilson-Piper and Emma Pollock from The Delgados. Following its release, Gedge recruited the rhythm section of the disbanded Goya Dress (Terry de Castro and Simon Pearson) together with Wedding Present guitarist Simon Cleave for his new band. Cinerama released a clutch of singles in support of their debut LP, as well as a number prior to 2000′s Steve Albini-recorded Disco Volante “dangerously, seductively sweet” [Melody Maker]. Notable were the heart-rending Superman (complete with alternative Spanish take) and the six and a half minute epic Health And Efficiency (also available in French!). 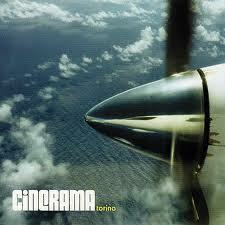 The third Cinerama studio album, Torino (released in 2002), was much darker than the first two, with Gedge returning to a more guitar driven sound and deciding to write predominantly about infidelity. “Cinerama are escaping the shadow of Gedge’s illustrious indie-legend past. Torino is a giant beast of adulterous lyrical fantasies, cult soundtrack flourishes and the screams of Albini-engineered guitars” [Uncut]. At the end of 2002, Gedge and Murrell unexpectedly split up and he decided to leave Leeds, his home for the preceding twenty-four years and move to Seattle, Washington. Following the end of this fourteen-year relationship, Gedge began writing a collection of songs apparently influenced by his despair over the split. Take Fountain, the resultant album, was recorded in Seattle by Steve Fisk and released, perhaps ironically, on St. Valentine’s Day 2005. This saw Gedge reviving the Wedding Present name for the first album since 1996′s Saturnalia to a torrent of critical acclaim. “Take Fountain is as eloquent an emotional discourse as he has mustered” [Mojo]. “Fans have long since recognised Gedge as more poet than pop star. Like Byron without the marsh fever, Take Fountain confirms his status as an extraordinary songwriter” [The Times]. In the wake of Take Fountain’s success and after almost an eight-year hiatus, The Wedding Present set out on a mammoth twenty month concert tour of Europe and North America which included most of the major festivals and ended in November 2006. The following month Gedge relocated temporarily to West Hollywood, California. In January 2008 the band assembled in Steve Albini’s Chicago studio to record El Rey, which was released in the summer of that year to further critical acclaim. The NME described the album as “a beauty… some of the funniest, cleverest and most relevant indie you’re likely to hear this year” while The Guardian newspaper agreed that “Gedge has consistently been way ahead of other, more lauded musicians”. At the end of 2008 Gedge fulfilled a long held ambition by releasing a bona fide Christmas song, Holly Jolly Hollywood, a duet with American chanteuse, Simone White. Now back in the UK, April 2009 saw Gedge collaborating with the BBC Big Band for the bi-annual FUSE Festival which was held back in his home town of Leeds. For the event he performed Wedding Present and Cinerama songs backed by eighteen world class musicians including legendary 'James Bond' trumpeter Derek Watkins. In what proved to be a busy yet unusual year for Gedge he also made his debut as a radio DJ in Texas, released his bass player’s solo album on his label Scopitones and launched his own annual self-curated mini-festival, AT THE EDGE OF THE SEA, in Brighton, England. Also in 2009, two Take Fountain songs, I’m From Further North Than You and Ringway To Seatac, appeared in the award winning independent film Skills Like This. In 2012 The Wedding present released Valentina to further rave reviews. Of the album, which was mixed in L.A. by Grammy award winning producer Andrew Scheps, and also came out in book form, Magnet [USA] said: "guitars meander before slicing, the rhythm section is taut and Gedge hits all of his favourite topics - love, lust and spite - often in the same three or four minutes". 2012 also saw the debut of a new comic book series, Tales From The Wedding Present, which, Gedge has hinted, is essentially his memoirs in graphic novel style. Another notable release in 2012 was the 4 Chansons EP which saw Gedge singing four tracks in French and which was followed in 2013 by the 4 Lieder EP in German and in 2014 by EP 4 Cân in Welsh! In what turned out to be a huge and comprehensive reassessment of the band, 2014 saw Edsel Records re-releasing eight Wedding Present albums in critically acclaimed multi-disc 'extended' editions which brought together a wealth of historic recordings, radio sessions and videos. Such has been the unpredictable nature of Gedge's career over the years, hardly anyone could have been surprised when he announced yet another remarkable project in 2015. Collaborating with Spanish indie legend Pedro Vigil he decided to 're-imagine' The Wedding Present's Valentina album as Cinerama. The resulting recording was also entitled Valentina and, with its "musical set pieces and vocal nuances fine enough to rival Bacharach and David", was described as "a truly sparkling and uplifting concerto for the modern age" by Vive Le Rock Magazine. Cinerama celebrated the release of this remarkable album with live performances in London & Barcelona and for BBC Radio 6 Music using additional musicians including a string quartet, brass and a flautist. The London concert was subsequently released on CD & DVD as Live 2015. In 2016 The Wedding Present released their ninth studio album, Going, Going..., which featured references to Gedge's previous works, including self-referential lyrical moments and has been described as his masterpiece. Loosely based on a road trip across the U.S.A., the double LP was described by Louder Than War as “A remarkable album. A joy from start to finish." In October 2017, The Wedding Present performed Going, Going... live, accompanied by films, a string section and a choir at Cadogan Hall, the home of the Royal Philharmonic Orchestra, in London. Also in 2017, to commemorate the 30th anniversary of their debut album, George Best, The Wedding Present released George Best 30. This album featured brand new versions of the original twelve songs recorded by Steve Albini and mixed by Andrew Scheps. 2017 also saw the publication [by Red Planet] of Sometimes These Words Just Don't Have To Be Said - a 450 page 'fanthology' of the band. In 2018, KneejerkFilm released Something Left Behind - a feature length documentary telling the story of the George Best album. The film, which featured interviews with all four original band members and was produced and directed by Andrew Jezard, appeared at several film festivals. The Wedding Present rose from the ashes of The Lost Pandas, a band formed in Leeds in the early 1980s by David Gedge [vocals, guitar] and Jaz Rigby [drums]. Keith Gregory [bass] and, later, Michael Duane [guitar] completed the line-up. The Lost Pandas became The Wedding Present when Rigby and Duane moved to New York and were replaced by Peter Solowka [guitar] and Shaun Charman [drums, backing vocals]. This line-up lasted until after the first album, George Best, although Julian Sowa [drums] stood in for Charman on the A-side of the band’s first single. Charman was replaced by Simon Smith [drums] in 1988. Gedge, Gregory, Solowka and Smith went on to record Bizarro and Seamonsters. Solowka was replaced by Paul Dorrington [guitar] in 1991. Gedge, Gregory, Smith and Dorrington went on to record The Hit Parade. Gregory was replaced by Darren Belk [bass, backing vocals] in 1993. Gedge, Smith, Dorrington and Belk went on to record Watusi. After Dorrington left in 1995, Belk switched to guitar and Jayne Lockey [bass, backing vocals] joined the band. Hugh Kelly Jr. from Beachbuggy [drums], Debby Vander Wall from Butterglory [drums] and Chris Cooper from The Pale Saints [drums] variously appeared live as the band’s second drummer during 1995 and 1996. In 1996, Belk left and was replaced by Simon Cleave [guitar]. Gedge, Smith, Lockey and Cleave went on to record Saturnalia. 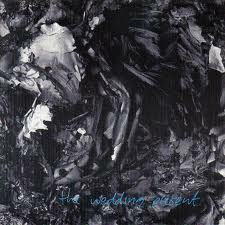 In 1997, Gedge put The Wedding Present ‘on hold’ and formed Cinerama with Sally Murrell [keyboards, backing vocals]. The first album, Va Va Voom, was recorded with guest musicians including Emma Pollock [vocals] from The Delgados, Marty Willson-Piper [guitar] from The Church, and Anthony Coote [bass] from Animals That Swim, but for live concerts [from 1998] the Cinerama line-up settled on Gedge, Murrell, Cleave, Philip Robinson [keyboards], Terry de Castro [bass, backing vocals] and Richard Marcangelo [drums]. Bryan McLellan [drums] replaced Marcangelo later in 1998. Robinson and McLellan left in 2000 and Simon Pearson [drums] joined. Gedge, Murrell, Cleave, de Castro and Pearson went on to record Disco Volante. Pearson was replaced later in 2000 by Kari Paavola [drums]. Murrell left the band in 2003, although she had decided to give up playing live by 2002. Gedge, Cleave, de Castro and Paavola went on to record Torino as Cinerama but reverted back to using the name The Wedding Present to record Take Fountain, although Paavola left shortly after the album’s release in 2005. For the concerts that followed the release of Take Fountain, various drummers were used, including Simon Pearson. Phil Prime, John Maiden from Chungking and Charles Layton were also employed before the band settled on Graeme Ramsay in 2006. Simon Cleave was replaced by Christopher McConville [guitar] earlier in the same year but although Gedge, de Castro, McConville and Ramsay then went on to record El Rey in 2008, Cleave returned to replace McConville in 2009. Later that year, when Cleave became unable to tour due to illness, Ramsay moved from drums to guitar and Charles Layton once again became the band’s drummer. In 2010, de Castro left and was replaced by Pepe le Moko [bass] from The Evil Son. Gedge, Ramsay, le Moko and Layton went on to record Valentina in 2011, although Ramsay left shortly before the album’s release in 2012 to be replaced by Patrick Alexander [guitar] from The Young Playthings. Pepe le Moko also left at the end of 2012 but was not replaced by Katharine Wallinger [bass, backing vocals] from The Candys until April 2013. Jennifer Schwartz from Me Of A Kind, therefore, stood in on bass for the band's concerts in early 2013. Alexander was also not available for the first part of 2013 and so Geoffrey Maddock from Goldenhorse stood in for him, too. Samuel Beer-Pearce from The Evil Son also stood in for Alexander on the band's 2013 winter tour of Continental Europe. In 2014 Beer-Pearce became the full time replacement for Alexander. Gedge, Beer-Pearce, Wallinger and Layton went on to record Going, Going... in 2015, although Beer-Pearce and Wallinger left shortly after the album’s release in 2016 to be replaced by Marcus Kain [guitar] from Twenty Two Hundred and Danielle Wadey [bass]. Wadey had played occasional keyboards for The Wedding Present and Cinerama since 2013 and, in 2018, she changed instruments yet again as she moved from bass to guitar to replace Kain who had left the band at the end of 2017. Melanie Howard from Such Small Hands became the Wedding Present bassist in 2018 although, for some periods during that year, Terry de Castro also returned. Like Wadey, Howard had also previously played occasional keyboards for The Wedding Present and Cinerama.